At Hardin Design & Development, we’re passionate about creating awesome software, web applications, and mobile apps for our customers. We work with everyone, from local start-ups to large companies such as Mercedes, Toyota, Coleman Campers, Disney, CNN, IBM, and FedEx. We take the same approach and degree of pride in our work no matter the client. Hardin Design & Development excels in providing tools to our clients to connect their customers with their brands and ideas through a wide range of channels. Our designers create elegant, easy to use interfaces and our developers bring cutting-edge expertise to all of our projects, with an eye for quality, security, and bug-free code. 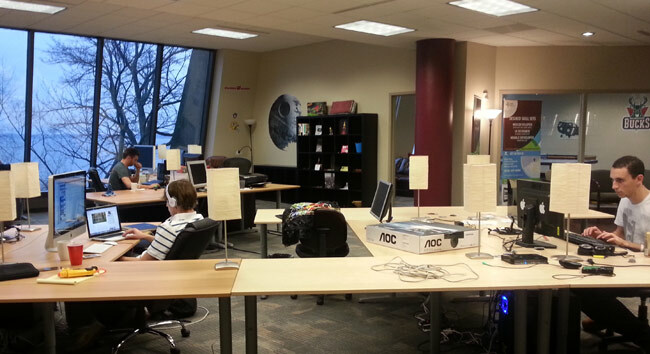 All code is written, stress-tested, and reviewed in our Madison corporate headquarters. John Hardin, CEO: Under30CEO “9 Young Entrepreneurs to Watch” (2012), UW Alumni Association Forward Under 40 (2012), In Business Magazine 40 Under 40 (2008). Scott Resnick, Vice President: City of Madison Alder – District 8, UW Alumni Association Forward Under 40 (2012), In Business Magazine 40 Under 40 (2011).